The continuous flow synthesis of active pharmaceutical ingredients, value-added chemicals, and materials has grown tremendously over the past ten years. This revolution in chemical manufacturing has resulted from innovations in both new methodology and technology. This field, however, has been predominantly focused on synthetic organic chemistry, and the use of biocatalysts in continuous flow systems is only now becoming popular. 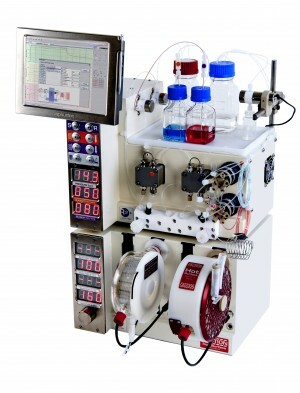 Although immobilized enzymes and whole cells in batch systems are common, their continuous flow counterparts have grown rapidly over the past two years. 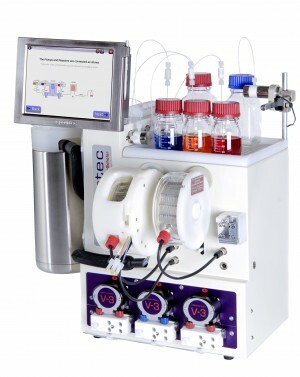 With continuous flow systems offering improved mixing, mass transfer, thermal control, pressurized processing, decreased variation, automation, process analytical technology, and in-line purification, the combination of biocatalysis and flow chemistry opens powerful new process windows. This Review explores continuous flow biocatalysts with emphasis on new technology, enzymes, whole cells, co-factor recycling, and immobilization methods for the synthesis of pharmaceuticals, value-added chemicals, and materials.